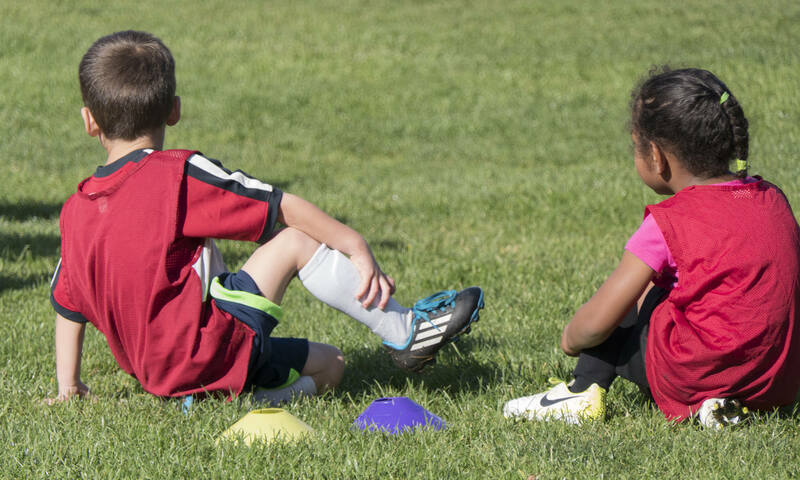 Coach Ken Soccer is a California-based soccer skills development school that offers classes and camps to kids 4-12 years of age and fun & fitness soccer classes for adult women. We believe people love what they are good at, and good training is ultimately more important than raw talent. Our four core values: Consistency, Knowledge, Skills and Advancement. We guarantee your child will have the same good, professional coaches who know them personally and can thus help them best learn and develop their soccer and life skills. Our coaches are trained to correctly teach soccer skills to different age-groups. They understand how different ages and kids learn, what and how to teach while maintaining a positive attitude and an environment where kids can experience, experiment and learn skills that put them at the top of their age-group. We teach our soccer players both technical and tactical skills. Good soccer technique is having good ball and body control. Our players learn how to receive the ball, control it and how to pass, shoot and defend correctly. We especially focus on dribbling fast and changing direction and we teach advanced moves and fakes. Soccer tactics are about good decision-making and teamwork. We help our players recognize how to utilize the techniques they have learned. We coach our players to be able to read and understand the game for themselves and to strategize with teammates to solve the challenges they face during play. Our program is personalized and individualized to help each kid develop as a player. Coaches are experienced at quickly identifying each player’s strengths and weaknesses and therefore are able to create programs that address each player’s specific needs. Our curriculum is progressive and ever-evolving. Using a wide variety of fun exercises, we consistently teach kids new skills to challenge them to reach their full potential. Our classes are mostly 1 hour long. We do 25-30 minutes of ball skills where each player has a ball at their feet– concentrating on one skill per day (say like speed dribbling or step-overs or passing or shooting etc) and reinforced by fun games; 5-10 minutes of agility focused on improving the players abilities to make soccer movements forward, sideways, backwards, jumping etc; then we do 1v1 for about 10 mins and finally, we end with a 4v4 or 5v5 soccer match for 10-15 mins. Players are divided into groups of 8-10 by age and ability. The classes are run by our coaches who are all trained to coach young players of all levels. But for emergencies, the same coach(es) will be at the same location for the season, often for years– we strive for consistency in coaches. All our coaches follow the same curriculum per level per season so all locations run the same program for the same level per season. Curriculum changes from season to season. It’s mandatory for players to wear shin guards, closed-toe athletic shoes or soccer cleats. They should also bring water, bring or wear sun-screen depending on the weather. We provide all equipment, including balls, and our equipment is of high caliber to ensure our students train like the best academies in the world. © 2009- 2018 CoachKenSoccer.com. All rights reserved.